I read this article and found it very interesting, thought it might be something for you. 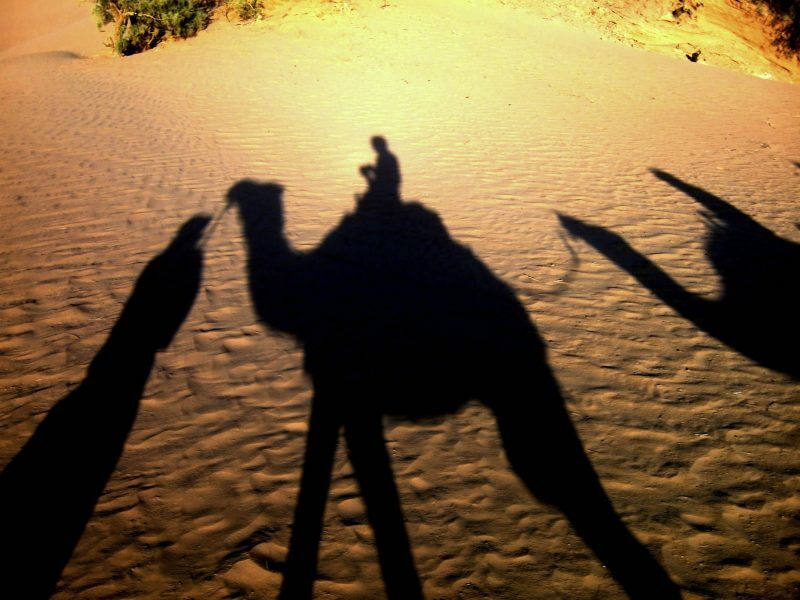 The article is called 15 Things to Know About Culture in Morocco and is located at http://trip-n-travel.com/listicle/22136/. Morocco is a fascinating and diversely beautiful country in North Africa. It is so close to Europe, just an hour’s boat ride from the South of Spain, yet arriving in Morocco is to step into a whole different world. 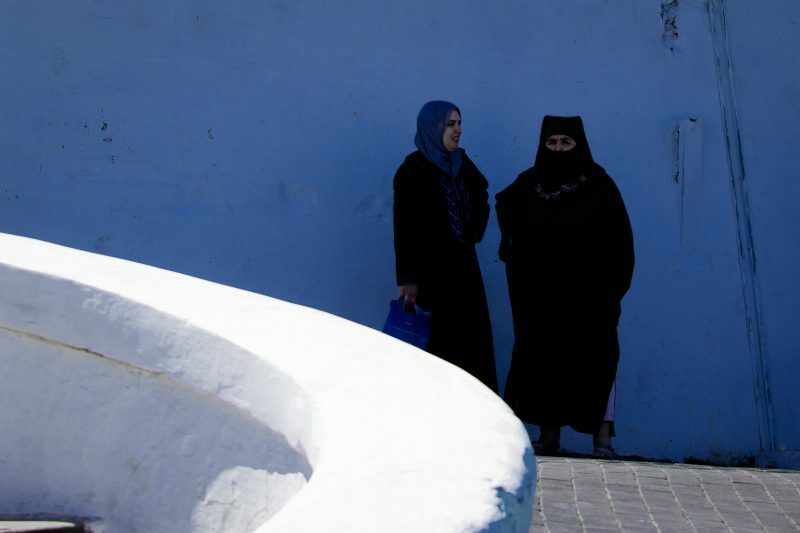 Traditionally Islamic, the culture of Morocco is also influenced by its years of Spanish and French colonial rule, apparent in the cosmopolitan cities like Casablanca and Rabat. Travel in Morocco is an enriching experience for there is such diversity within the country. Morocco is a Kingdom with a constitutional monarchy and an elected parliament. The country owes much of its cultural heritage to the huge variety of people that have left their mark on the social and cultural landscape. Throughout history, Morocco has seen visitors from the East (Arabs, Jews, Phoenicians, and Carthaginians), the North (Romans, Andalusians, Moors) and the South (Sub- Saharan African people). The Morocco of today is a testament to this cultural mix, successfully combining its Berber, Jewish and Arabic cultures with influences from the French and Spanish colonial years and of course in recent history impact from Anglo-American culture. 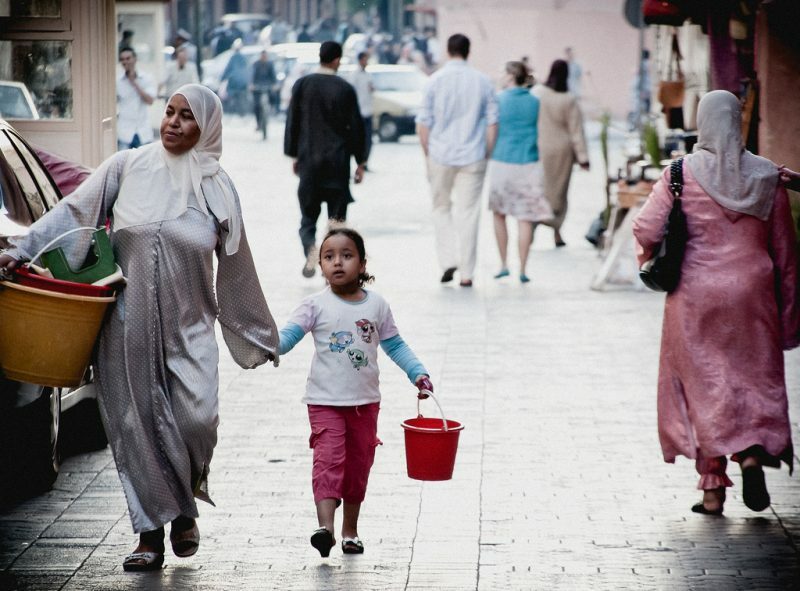 Morocco is an Islamic country with 99.9% of the population classified as Muslim. The second largest religion is Christianity and there is also a distinct Jewish community. As Islam is the official state religion, despite the freedom given to Christians and Jews to worship in their respective ways, the constitution favors Islam over the other religions and is granted rights that outweigh the other faiths. 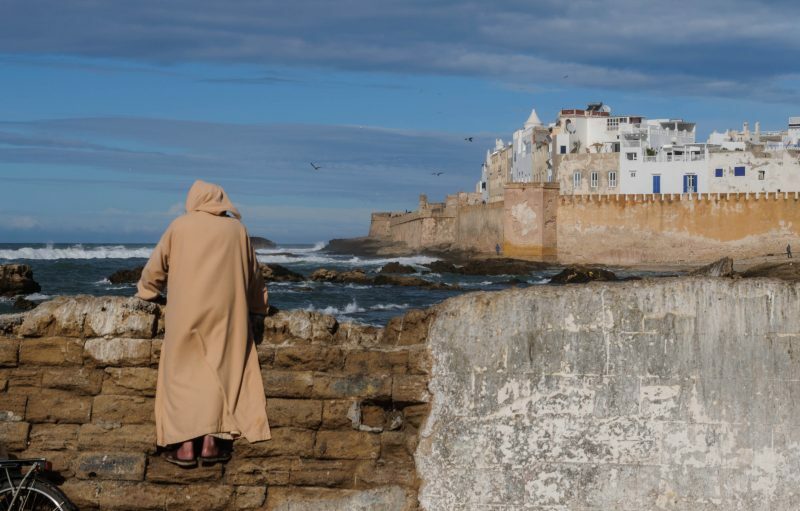 You will often hear the call to prayer in Morocco in the morning and evening, calling the faithful to follow the mandatory five prayer times of each day. Arabic and Berber are the official languages of Morocco. There are dialects of Berber and Moroccan Arabic also spoken widely. French is used a lot within the government, in international diplomacy and also within the media and large companies. It is also taught in schools obligatory and is generally spoken among all educated youth and working professionals. Spanish is also spoken especially in the North where the Spanish were previously in control of the region. English is a popular choice for a second language to many Moroccans also, especially those who already speak French. It’s important to remember when you visit Morocco that it is a Muslim country and as such women, in particular, are expected to dress a certain way. A lot of Moroccan women do not wear a veil and particularly in the larger cities can be seen wearing just a headscarf or sometimes not even that. They may also wear shorter skirts and shorter sleeves, however, it is still important to be aware of the harassment that may cause. Women travelers should be aware of dressing very skimpily in public and of offending anyone by not doing so. The way you dress in a city will be different to rural areas and the best thing to do is to observe how the locals are dressed and respectfully follow their example as best you can. It is a traditional custom to remove your shoes when visiting someone’s house or entering the living rooms. If you are invited to a home during your stay, remember this and remove your footwear before entering the house. If you are unsure it’s always good to observe your host and follow their lead. 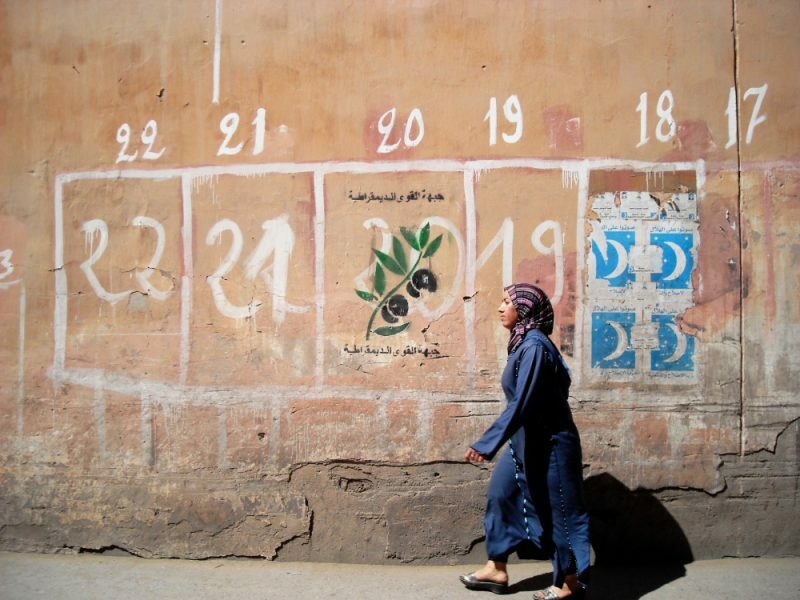 Being a woman traveler in Morocco can be an eye-opening experience, especially if you are used to Western traditions and have not traveled much in an Islamic country. Of course, the young people of today to some extent defy tradition and many young Moroccan women in the larger cities can be seen more and more hanging out with men in bars and cafes and not dressing traditionally. That said, in rural villages and small towns, women have a very different role to men and the separation of the sexes is apparent. As a tourist, you may experience some hassle from Moroccan men as there is a certain misinterpretation of Western attitudes. Some men may hassle you, thinking that your casual dress or attitude means you are available in a way that Moroccan women are not. Touts and guides of all kinds will certainly be part of your Moroccan experience. In the larger cities, you are likely to be approached by men offering to be your guide to tourist sites or to help you navigate the Medinas or parts of the city. Be aware if you choose to go with one of these services that many are unofficial guides. The best thing to do is agree on a price beforehand and make sure you both understand what your expectations are. Many guides will want to take you to stalls and shops owned by their family and friends and will pressure you to buy something (for they will get a commission). It can be very helpful to have a guide and is not to be avoided, just make sure you are in control of what is happening and the price expected. Tipping is always different any country you visit and to maintain good etiquette it’s so important to be aware of what is expected where you are. In restaurants and cafes it’s expected that you will tip between 1-5 dh (dirham, the official currency) and in a more expensive, upmarket locations perhaps 10 -1 5% of the bill. It is also generally assumed that you will tip an attendant at a petrol station, someone who helps with your bags onto a bus, taxi drivers and curators at museums. Moroccan cuisine is delicious and varied with some good options for vegetarians and vegans. There is somewhat of a distinction between more common Moroccan food served in the Medina or from stalls and cafes and the more tourist-influenced French food. 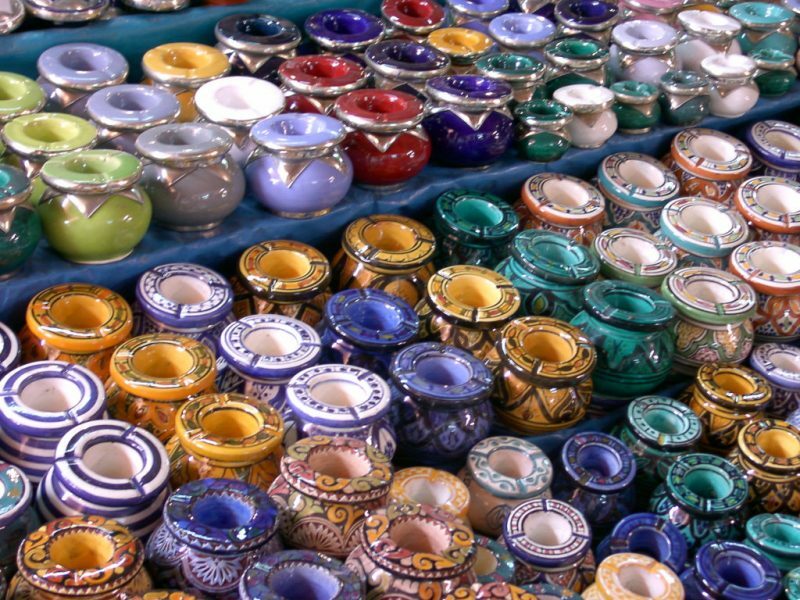 Tagines are a type of stew, cooked slowly in an earthenware dish. Classic tagines involve chicken, fish or lamb with vegetables. A popular choice is chicken with lemon and olives. Couscous is often eaten alongside a tagine or on its own piled high with vegetables. Other typical Moroccan delicacies are sweet pastries and cakes, often made with almonds and honey. 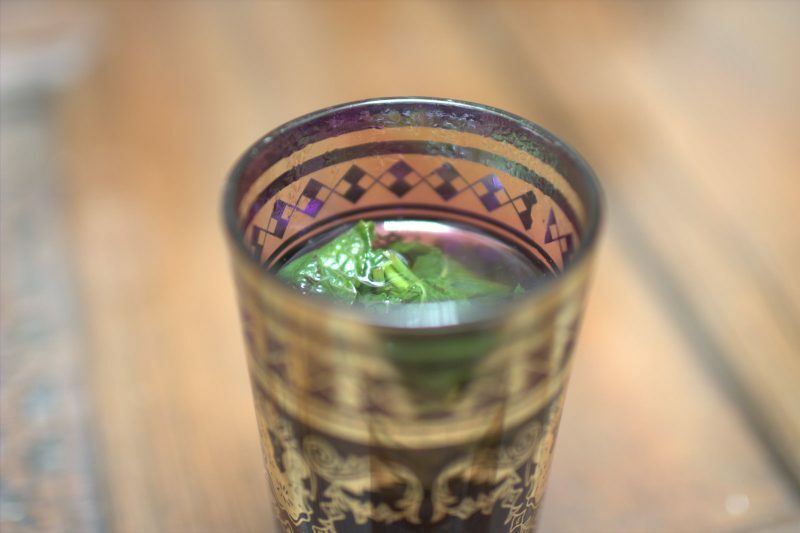 Drinking mint tea is an important part of daily life and culture in Morocco. It sounds simple but the act of making, drinking and sharing this tea is symbolic in the culture. A business transaction may well be stalled and discussed over a sweet cup of mint tea. There is a ritual involved with the pouring of the tea. It is traditionally served up in an ornate silver teapot into pretty glasses and poured in from quite a height to allow the tea to cool easier. There is even a rhyme about the mint tea that goes: The first glass is as bitter as life, the second glass is as strong as love,the third glass is as gentle as death. 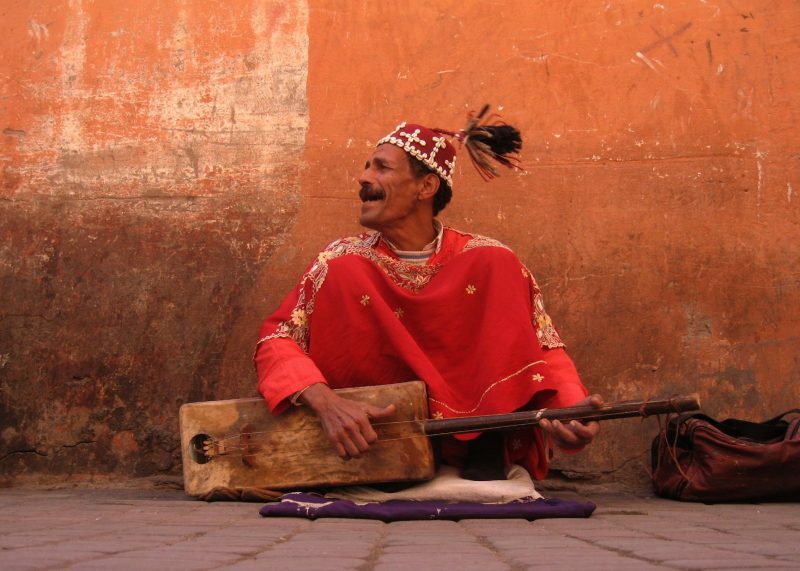 Traditional music and dance is something you might experience on a trip to Morocco. 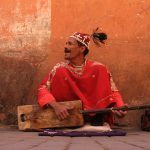 Music is traditionally a cultural expression and for many of the Berber villages and communities, it is of extreme importance. 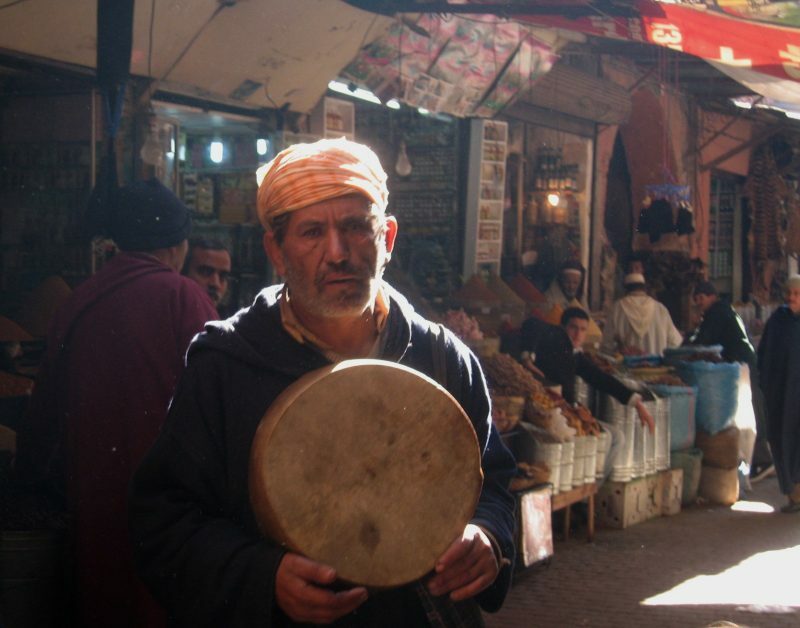 You will often see a band playing in the markets or souks, using traditional instruments (usually stringed and percussion instruments made of wood or cane). Festivals always contain music and dancing and will often involve hand clapping, flutes, drums and bells. Music in terms of religious ritual is also of extreme importance. It is seen, especially for the Sufi Brotherhoods, as a way of getting closer to Allah through chanting and entering a trance- like state. Oral storytelling has been an age-old Moroccan tradition and one you will definitely be able to experience on a trip to the country today. The story tellers are traditionally men who have dedicated their lives to memorizing and relaying stories in a circle to a crowd of entranced listeners. The story tellers are usually found at souks or in the big squares and tell fables and stories of kings, sorcerers, magicians and conquerors. The tales are always thought provoking and a great entertaining way to experience the culture of Morocco. 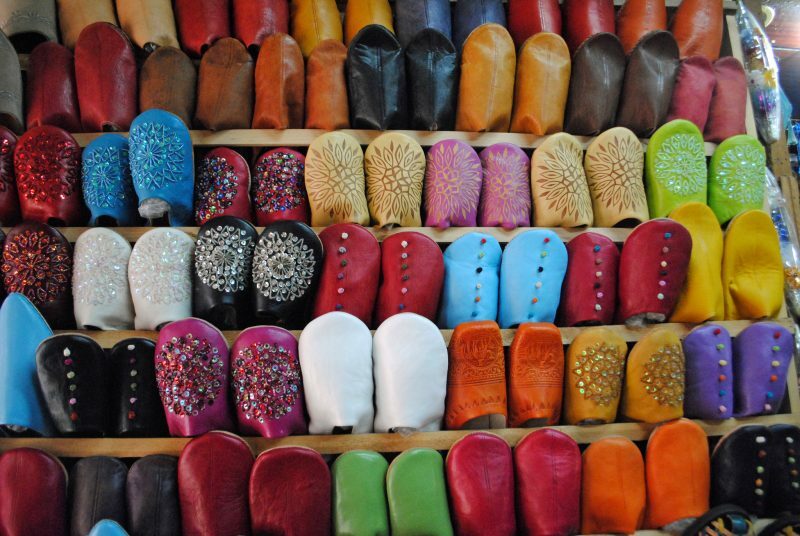 Souks or markets are an integral part of Moroccan life and culture and are one of the top tourist attractions in the country. Each town has its own unique souk quarter. The larger cities have huge mazes of individual souks often dedicated to one particular craft like leather, wood, pottery or carpets and rugs. All over the countryside, there are weekly souks on different days of the week in different villages. As a non-Muslim, you are not permitted to enter any of the mosques, which is a great shame for they are so beautiful. Luckily many architectural gems are open to view by the general public. These include the main gateways of the cities (babs) and the minarets attached to mosques (the towers from which can be heard the call to prayer). You can also visit many of the palaces and great houses and Medersas (medieval buildings attached to mosques). The kasbahs (castles) of the south are worth a visit for their distinct simple beauty. 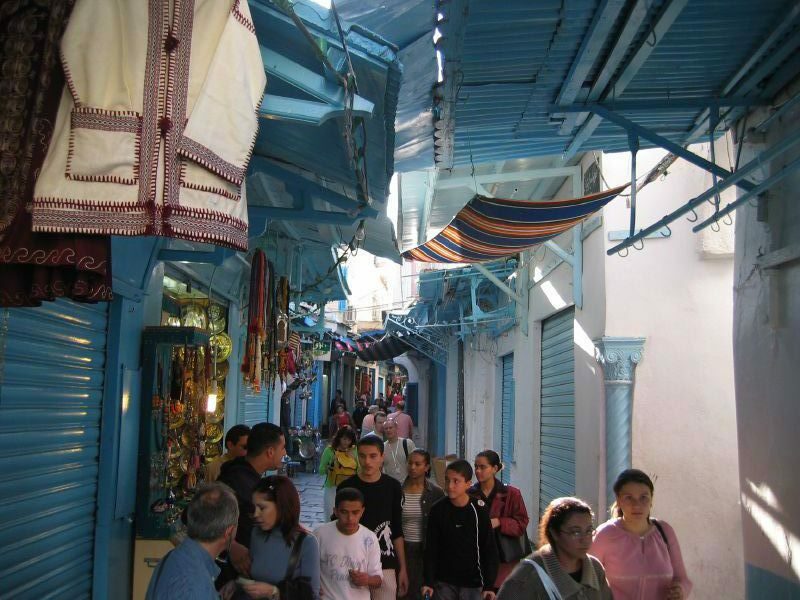 There is so much more to learn and experience about the culture of Morocco before planning a visit. We recommend reading different books and informing yourself about the traditions and customs of the country in order to get the most out of your trip.